Travelling through Namibia means that you are going to hit the road! However, these are usually not the roads that you are used to: Namibia’s road network is mostly made up of gravel roads. An SUV is the type of car that offers more luxury. 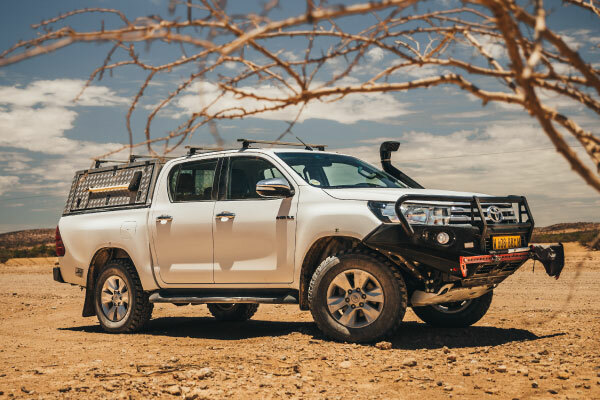 Its modern interior, automatic gears and higher ground clearance, makes driving this kind of car is very comfortable and perfect for driving on the Namibian gravel roads. The standard 4×4 off-road vehicles are technically customized to deal with the rough African roads. The standard equipment consists of a double fuel tank, two spare wheels, a spade, jack, spare parts, toolbox, danger triangle, towing rope, first aid kit and a pressure gauge. 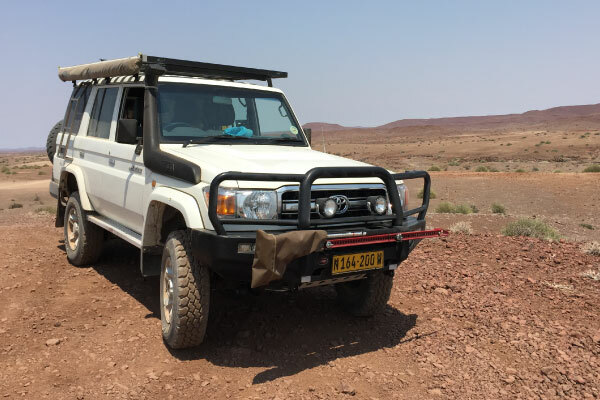 Additional to the standard equipment of the standard 4×4 off-road vehicle, these vehicles have a few extras: a compressor, snorkel and fridge are included in the standard rental. 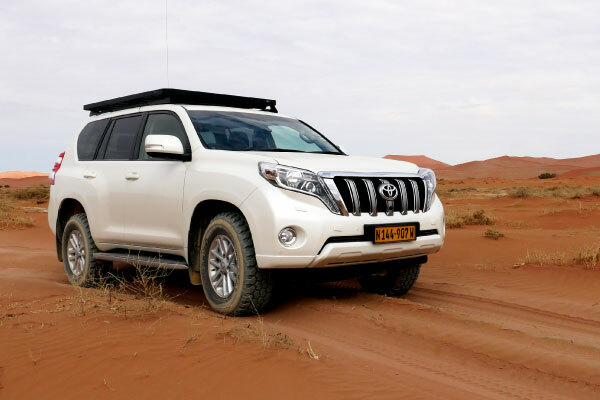 This type of 4×4 is designed for all African roads and suitable for off-road driving.